Granny square mania has swept the world of McAree Brothers recently. At last count, blanket squares were being worked on by Sophia and Susan (both having just learnt to crochet), by Magz and by Maddie (who is actually working on two blankets simultaneously-- industrious or what?)! Two weeks ago, I finally stopped resisting the urge to join in and bravely decided to work my way through some of my stash and hook some squares of my own. 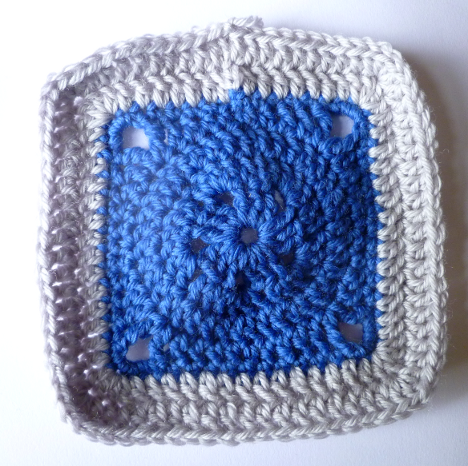 The idea of a granny square blanket is one that has tempted me for literally years. I love how they look draped over an armchair or a bed: bright and cosy, but also decorative in a kind of kitschy, retro way. The perfect balance between good and bad taste. Since I so obviously think they’re pretty wonderful, how come I’ve never even begun to make one until now? In truth, I was very concerned that I’d never finish it. Such a giant project was daunting for someone who likes to speed through projects in quick succession. Sure, each square wouldn’t take that long, but when I thought of the total time it would take to make a whole, bed-sized, blanket, I remained utterly convinced that I’d never maintain interest for long enough to actually complete the darn thing. 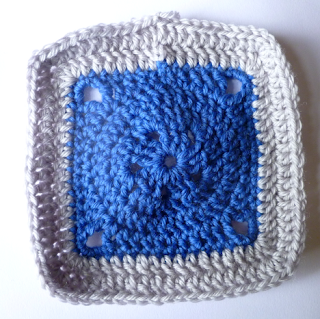 As I saw everyone else working on their wee squares, however, a little hope starting to raise its head and I realised that I might be able to make one after all; I would just have to change the way I viewed my crochet projects. Instead of being something to race through as quickly as possible, in order to be able to start on my next idea, this would have to be a longer term investment piece, to be worked on alongside other projects. It’ll eventually be finished, I hope, even though that seems a long way off yet. In the meantime, at least I have everyone else’s lovely squares around me to keep me motivated, as well as the thought that a blanket will one day emerge from my piles of squares! Or, if you're near Stirling, why not book a place on our Learn to Crochet Workshop with Carol Meldrum?